The Upper East Side of Manhattan can be a retail dream. Families and singles with money to spend. But the small shop now has to compete with the chain stores. 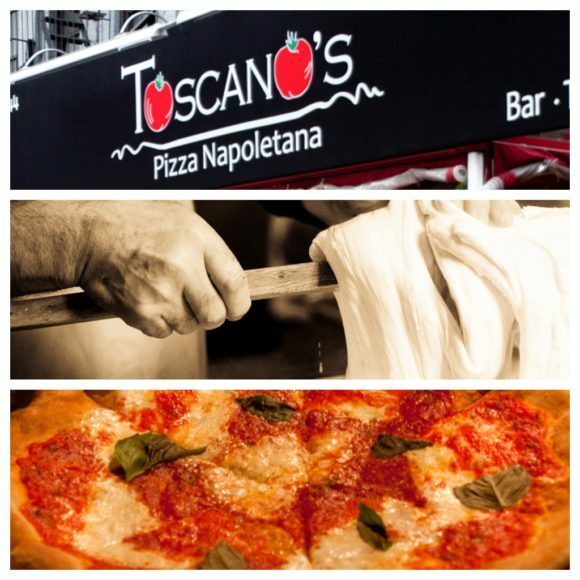 Toscano’s (formerly Totonno’s) is one example. For this newly opened, family-owned restaurant the challenge isn’t just about standing out amongst the chain store offerings but differentiating itself in a sea of pizza that is all around the E.80th street location; from the small shops to Papa John’s. Nearby are the online take-out sites and a recent trend: shops selling pizza for 99 cents a slice. Pizza has always been a staple of New York neighborhoods. And while chains like Domino’s now are pushing ‘artisanal’ pies, there is still room for the old masters.